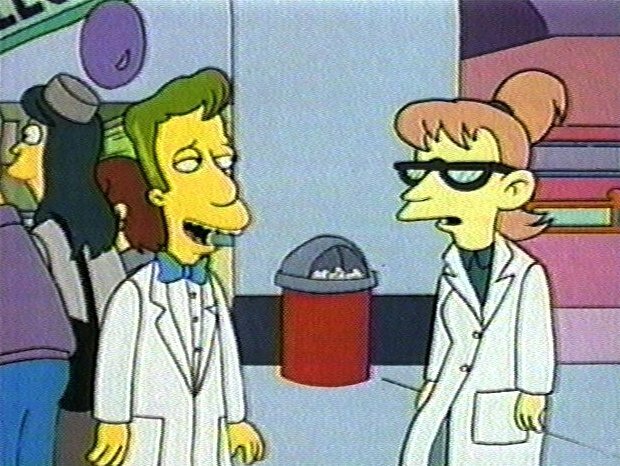 Professor John Frink can be seen on the FOX Network television show The Simpsons, and is a role model for nerds everywhere. He usually appears in his lab coat, wearing thick round glasses, and sporting a pretty bad haircut. His function in the town of Springfield is typically that of inventor / technical advisor / educator. 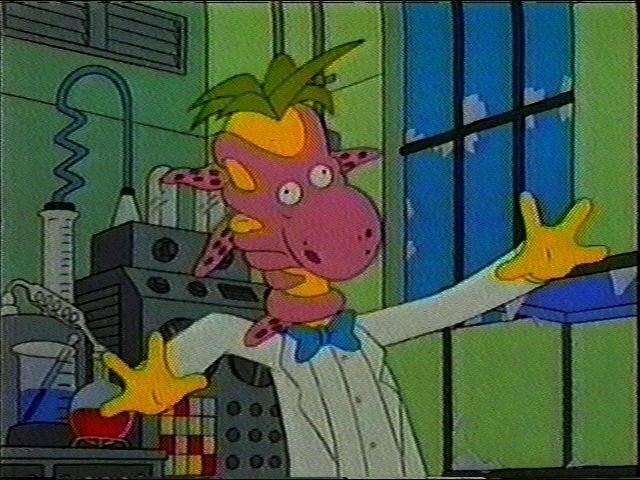 The voice of Frink is done by Hank Azaria. 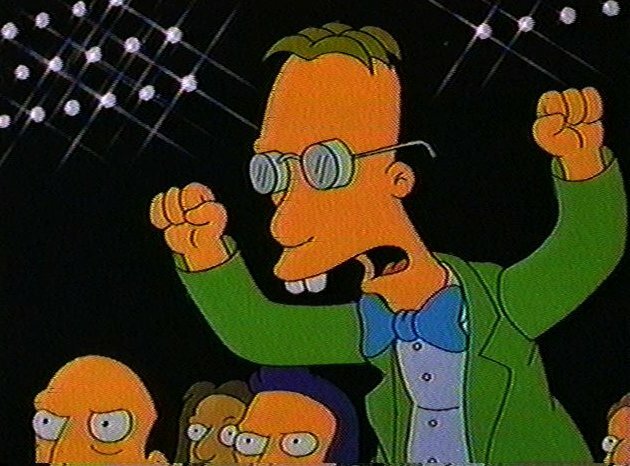 Since I can be placed in the aforementioned category of "nerd", I am able to look at Professor Frink and see genius...not to mention an overall goofy individual. 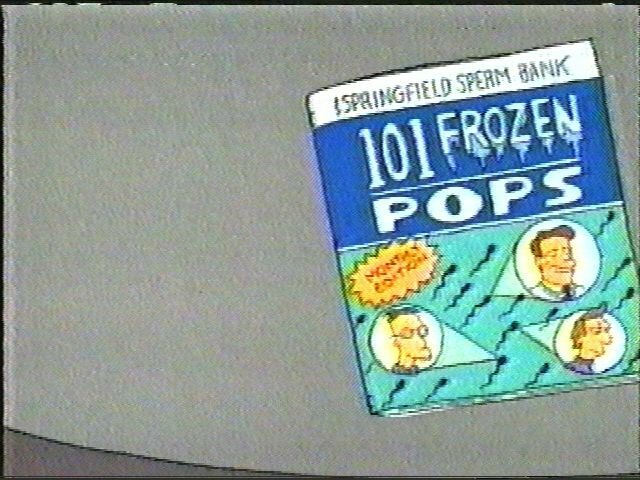 While there are many good Simpsons pages on the Web, my favorites tend to be the ones dedicated to a specific character. It was a tough choice, though. 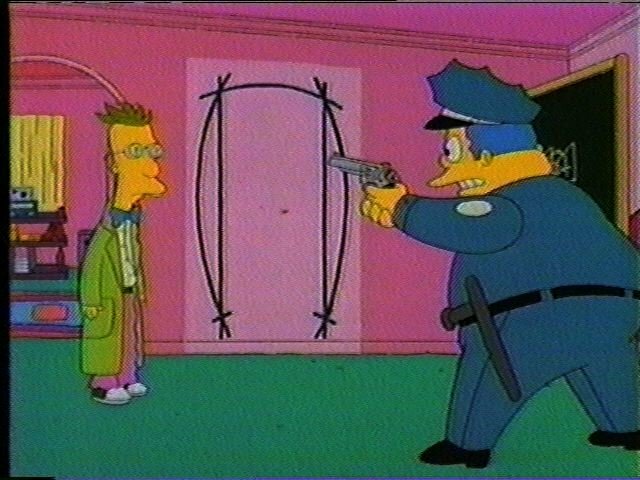 Chief Clancey Wiggum comes in a close second as my favorite Simpsons character. Perhaps, one day I'll have a page for him as	well. 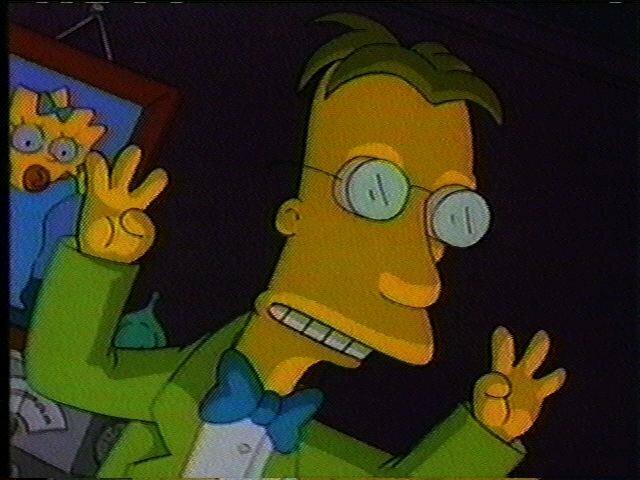 By the way, I also play Quake with The Loyal Order Of Water Buffalo under the name Frink. It's a lot of fun and a good stress relief, too. If anyone is interested in making some quality screen captures, please let me know. You can look at the history of the What's New? section to see what changes have been made before this specific update. Feel free to email me if you have any comments, suggestions, or contributions to this page. Also, if you can point me towards sounds or appearances that I have not included, it would be greatly appreciated. Here are some other Simpsons pages that I think are worth taking the time to check out. The Many Deaths Of Hans Moleman This is my page dedicated to Hans Moleman. The Definitive Frink TDF is an excellent web site, but has not been updated in a long time. Aaron takes a different approach than I do - he's got a very detailed listing rather than the concise one I have. 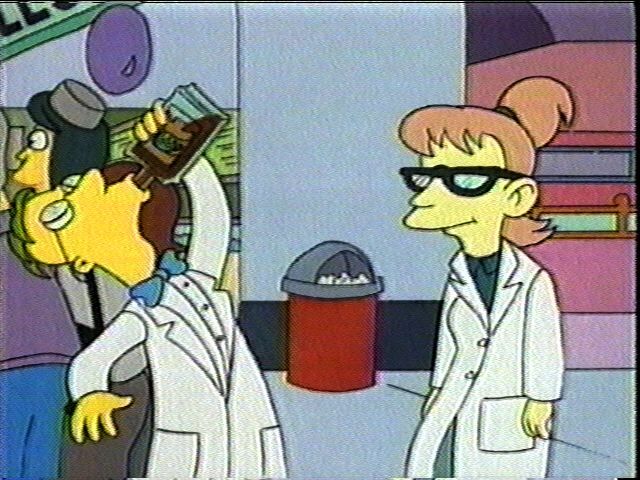 There's also the Professor Frink's Museum of Patent Pending. Very well done. The Hank Azaria Appreciation Page He does alot more than just Frink's voice! All images, sounds, and broadcast character representations linked or embedded in this website are copyrighted by the FOX network and are presented solely for evaluation purposes. I do not claim rights to any of this material. No profits, monetary or otherwise, have been received for any of these items.